The Golden Eagle Blueberries farm at 180 Armidale Road has been placed on the international market, with expressions of interest closing this Friday February 15. 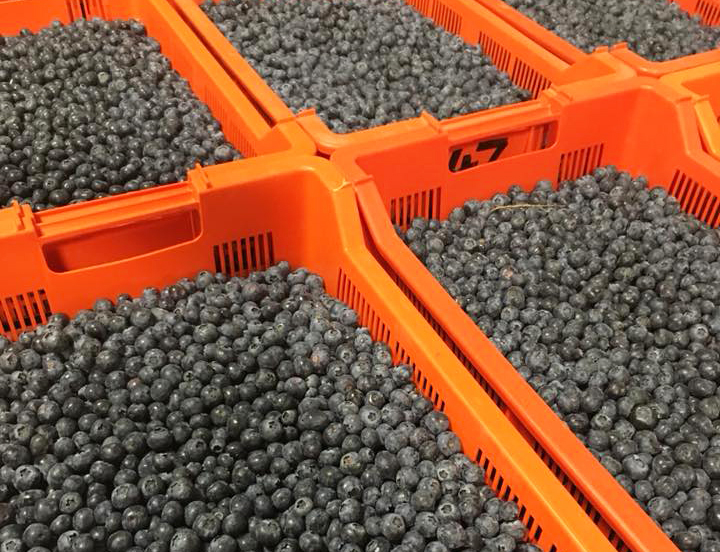 Colliers International describes the 1,827hectare site as a “vertically integrated blueberry production business”, which includes 72-hectares of planted and irrigated blueberries and a packing and processing facility (the former Grafton abattoir). Seven hundred and seventy-six hectares are available for development, the Colliers International website states. The farm, which is owned in partnership with a Canadian company, Aquilini Investment Group, was established in mid 2016. At the time, owner and operator of the farm, Harjap Singh Dosanj, spruiked the employment opportunities the farm would provide, with up to 3,000 jobs predicted. This week, Mr Singh Dosanj told the Independent that it would be business as usual irrespective of whether or not the farm is sold, and that he and his partner were open to offers that could include a partial sale. “In basic terms, the farm has been operated as planned and is an ongoing enterprise put on the market for business reasons,” he said. He said speculation that it was put on the market due to inadequate access to water were incorrect. “We have access to plenty of water,” he said. He said some of the onsite dams were yet to be used, including one with a capacity of “over 100 mega litres”. The former abattoir, he said, is being “used for offices and farm storage, and there’s a packing machine running in there, too”. Mr Singh Dosanj said he “may end up continuing to run” the farm if it is sold, “I’m not saying we’re getting out completely”. He also said there was potential to plant other crops on the 1,827hectare site. “I’ve always earmarked other crops to be grown on the project,” he said.